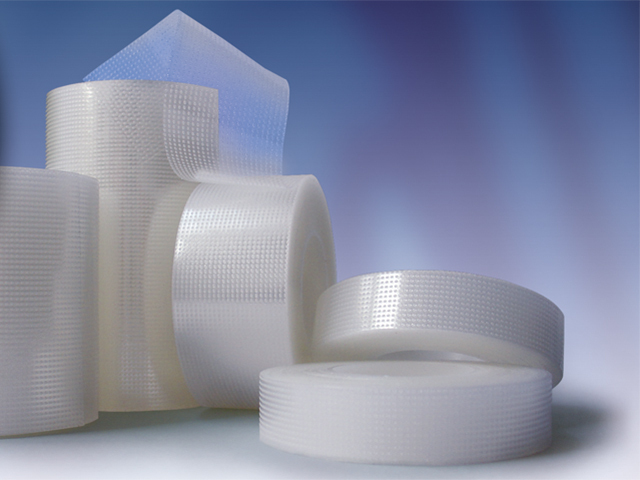 Airoplast® is a self adhesive tape made from a transparent plastic film coated on one side with hypoallergenic pressure sensitive adhesive. 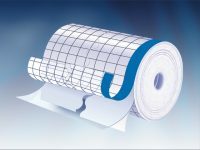 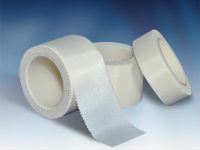 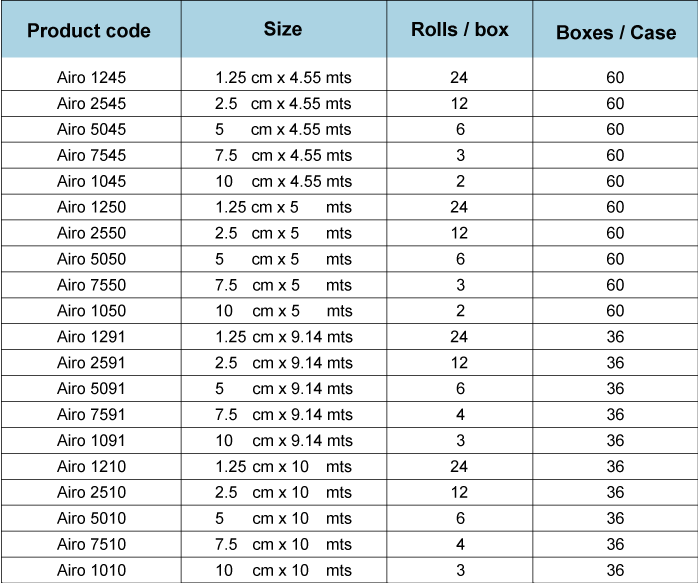 The tape has micro perforations to allow lengthway and widthway tearability and to provide moisture vapour permeability. 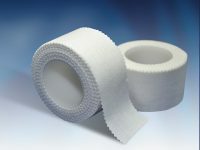 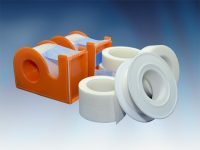 Mainly used on patients sensitized to traditional adhesive tapes.